Payment Options - Holman Insurance Brokers Ltd. 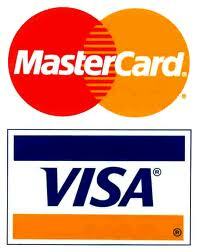 If you wish to pay by VISA or Mastercard, click on the Mastercard/Visa logo below. Please note there is an administration/convenience fee charged for this option. Once you click on the logo, you will be asked to complete the form below. Please follow the sample answers in the right column if you need help. Each bank has designed a unique format for their web site. However, the necessary procedures are generally similar. 3. Under Bill company/Payee - Select Holman Insurance Brokers Ltd.
4. Enter your account number is the first 4 letters of you last name + XX1 (i.e. SMITXX1 for Peter Smith or CHUNXX1 for Mary Chung). 5. Select the account you wish to withdraw the funds from. (i.e. credit card, savings, chequing, line of credit). Indicate the amount of payment and submit. A confirmation and reference number will be displayed to acknowledge your payment. 1. Request your bank set up a new Payee/Bill to do a Bill Payment. 2. Request the addition of a new Payee/Bill Company: Holman Insurance Brokers Ltd.
3. Your account number is at the top right hand corner of your invoice/statement (i.e. SMITP001 for Peter Smith). 4. Your banking institution will then take your payment over the telephone by your choice of payment method. 1. Contact your bank by telephone or visit in person. Request that they set up an option to allow you to make Bill Payments by Debit Card. 3. Your account number is the first 4 letters of you last name + XX1 (i.e. SMITXX1 for Peter Smith or CHUNXX1 for Mary Chung). 4. Once you have set up Holman Insurance Brokers Ltd., you are able to proceed with payments via your branch ATMs with your debit card. 5. Choose banking option: Bill Payment and follow your bank instructions. 1. At your own bank, request they set up a new Payee/Bill to do a Bill Payment. 4. You can choose to pay via the different accounts you hold with that particular bank or by other financial institution credit cards. 5. When paying in person at different financial institutions, bring your invoice/statement and request to make a Bill Payment. 6. Advise the teller that the Payee is Holman Insurance Brokers Ltd. and follow the prompts from step #2. Note: Do not ask for a wire transfer or funds transfer, the banks charge you extra for this service and charge us extra for which we do not reimburse. These additional fees can range as high as $50 or more. Visit our Head Office at 3100 Steeles Ave. East Suite 101, Markham, ON L3R 8T3. Send a cheque for full payment along with your application. Cheque must be payable to Holman Insurance Brokers Ltd.
An Interac e-Transfer is an easy, convenient way to send money directly from your bank account to anyone with an email address and an eligible bank account at a participating Canadian financial institution. There is typically a fee of $1.50 per transfer (please check with your financial institution). All you need is an email address, access to online or mobile banking at 200+ participating financial institutions. Email transfer to Holman at etransfer@holmanins.com (not the email of the employee). 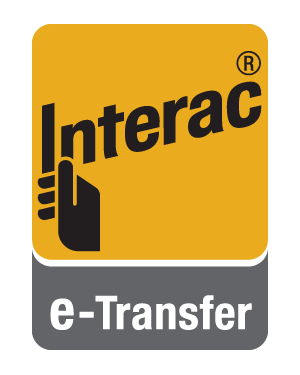 or Use Interac e-Transfer at the participating financial institutions. An NSF payment however caused will result is a minimum service charge of $25.00 and cancellation of your insurance.